West Ham United allowed opponents to score over 1.5 goals in last 3 games in Premier League. Everton scored in last 5 games in Premier League. Mainz 05 scored in last 7 away games in Bundesliga. Mainz 05 allowed opponents to score over 1.5 goals in last 8 games in Bundesliga. Atalanta has under 2.5 goals in their last 3 away games in Serie A.
Torino allowed opponents to score over 1.5 goals in last 7 home games in Serie A.
Atalanta has under 2.5 goals in their last 4 games in Serie A.
Bologna didn’t score in last 4 games in Serie A.
Atalanta lost their last 3 games in Serie A.
Atalanta didn’t score in last 3 away games in Serie A.
Torino scored in last 3 games in Serie A.
Atalanta didn’t score in last 4 games in Serie A.
Guingamp has over 2.5 goals in their last 6 games in Ligue 1. Guingamp lost their last 6 games in Ligue 1. Guingamp scored in last 7 home games in Ligue 1. Atlanta United has over 2.5 goals in their last 7 games in MLS. Real Salt Lake scored in last 4 games in MLS. Atlanta United scored in last 5 home games in MLS. Orlando City scored in last 4 home games in MLS. Houston Dynamo have lost 4 away matches in MLS. Minnesota United has over 2.5 goals in their last 7 home games in MLS. Atlanta United scored in last 12 games in MLS. Columbus Crew won their last 6 home games in MLS. Atlanta United allowed opponents to score over 1.5 goals in last 7 home games in MLS. Colorado Rapids lost their last 4 games in MLS. Montreal Impact allowed opponents to score over 1.5 goals in last 3 home games in MLS. Chicago Fire has over 2.5 goals in their last 4 away games in MLS. New England Revolution has under 2.5 goals in their last 5 games in MLS. Chicago Fire lost their last 4 away games in MLS. Colorado Rapids didn’t score in last 4 games in MLS. Montreal Impact has over 2.5 goals in their last 4 games in MLS. New England Revolution scored in last 3 home games in MLS. Orlando City has over 2.5 goals in their last 4 home games in MLS. Houston Dynamo lost their last 5 away games in MLS. Columbus Crew scored in last 6 home games in MLS. Montreal Impact scored in last 4 games in MLS. Minnesota United scored in last 7 home games in MLS. Portland Timbers scored in last 5 games in MLS. Kalmar allowed opponents to score over 1.5 goals in last 3 games in Allsvenskan. AIK won their last 3 home games in Allsvenskan. Hammarby scored in last 4 away games in Allsvenskan. AIK allowed opponents to score over 1.5 goals in last 10 home games in Allsvenskan. Kalmar has under 2.5 goals in their last 3 games in Allsvenskan. Hammarby scored in last 6 games in Allsvenskan. AIK scored in last 3 home games in Allsvenskan. Kalmar scored in last 3 away games in Allsvenskan. Hobro scored in last 3 games in Superligaen. Nordsjalland allowed opponents to score over 1.5 goals in last 4 games in Superligaen. Hobro allowed opponents to score over 1.5 goals in last 3 games in Superligaen. Stromsgodset scored in last 28 games in Eliteserien. 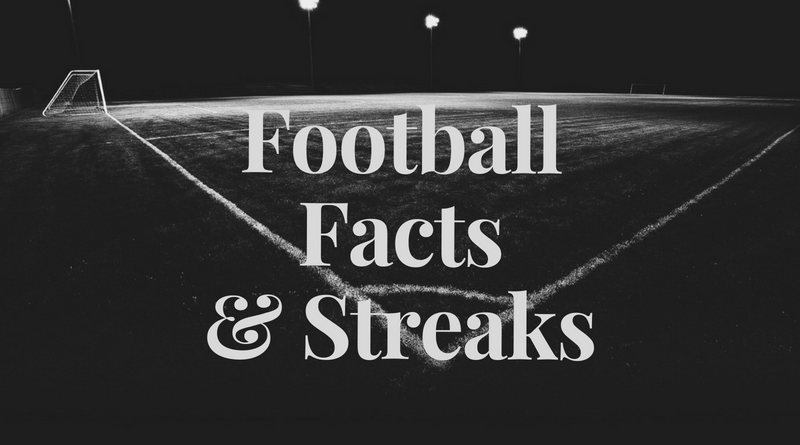 Stabaek has over 2.5 goals in their last 3 home games in Eliteserien. Brann won their last 4 home games in Eliteserien. Sandefjord scored in last 6 away games in Eliteserien. Brann allowed opponents to score over 1.5 goals in last 4 home games in Eliteserien. Kristiansund has under 2.5 goals in their last 4 home games in Eliteserien. Sandefjord scored in last 6 games in Eliteserien. Brann scored in last 4 home games in Eliteserien. Kristiansund scored in last 3 games in Eliteserien. Stromsgodset scored in last 16 home games in Eliteserien. Stabaek scored in last 3 home games in Eliteserien. Stabaek scored over 1.5 goals in last 3 home games in Eliteserien. Emmen scored in last 3 games in Eredivisie. Groningen didn’t score in last 5 home games in Eredivisie. Zwolle has under 2.5 goals in their last 3 away games in Eredivisie. Emmen allowed opponents to score over 1.5 goals in last 3 games in Eredivisie. Groningen has under 2.5 goals in their last 5 home games in Eredivisie. Zwolle has under 2.5 goals in their last 3 games in Eredivisie. Emmen scored in last 5 home games in Eredivisie. Groningen allowed opponents to score over 1.5 goals in last 6 home games in Eredivisie.